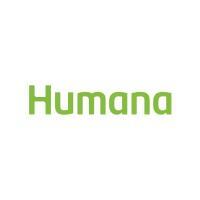 LOUISVILLE, Ky. - On Wednesday, Jan. 23, leading health and well-being company, Humana Inc. (NYSE: HUM), announced in a press release the winners of its Go365® National Step Tournament – a health and wellness contest that focuses on improving the fitness of employees from companies across the country. The National Step Tournament is a step challenge in which employer groups with two or more Go365 members compete for the highest team average step count. All winning teams receive a donation to their local chapter of Feeding America in their name. This year, the multi-round “knockout” competition resulted in millions of steps logged and led to over one million meals donated to Feeding America. The participating organizations competed by size, ranging from the “Small” division with 2-99 employees, to the “Jumbo” division with over 1,000 employees. Over the course of three rounds, teams with the highest average step counts moved on to the next round. As teams progressed from one round to the next, they each had donations made to their communities. The first place winners donated a total of 58,826 meals, second place- 38,826 meals and third place- 18,826 meals. In total, one hundred and seventy-two organizations had donations made to the communities where they operate. Participants could benefit, as well, through Points added to their Go365 account. Points were rewarded for being a part of the Challenge-related activity, as well as for logging daily step counts. Go365 combines rewards and health – from physical to mental well-being. The program provides tools and support to help members live healthier lives and reduce overall health claims costs. * For every verified, healthy action they take, members earn Points and Bucks towards rewards in the Go365 Mall, such as e-gift cards, fitness devices and apparel, charitable donations and discounts for products.